When you identify with ego, with individuality, separateness, and scarcity, you see yourself as naked and vulnerable in an unfriendly world. 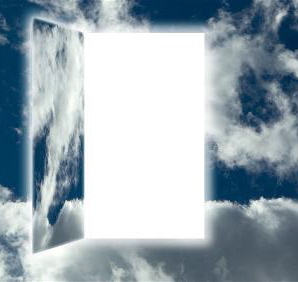 Transcend your ego, and you discover that behind every perceived separation from spirit is a doorway to the divine. Two prisoners whose cells adjoin communicate with each other by knocking on the wall. The wall is the thing which separates them but is also their means of communication. It is the same with us and God. Every separation is a link. Lose yourself in ego and you unconsciously act selfishly. Lose yourself in spirit and you consciously act selflessly.